One of the most authentic forms of hospitality and lodging, Home Stay in Nepal are a matter of great collaborative consumption and sharing. Moreover, Timal Home Stay is among the best. The homestay tour is a sublime opportunity to enjoy the culture and lifestyle of the Timal village and take pleasure in the beauty of the magnificent Himalayas. The village hosts a great many destinations for both natural and cultural ecstasy. With the rich Tamang heritage offers you firsthand opportunity to appreciate their radiant display of practices and unique rituals. 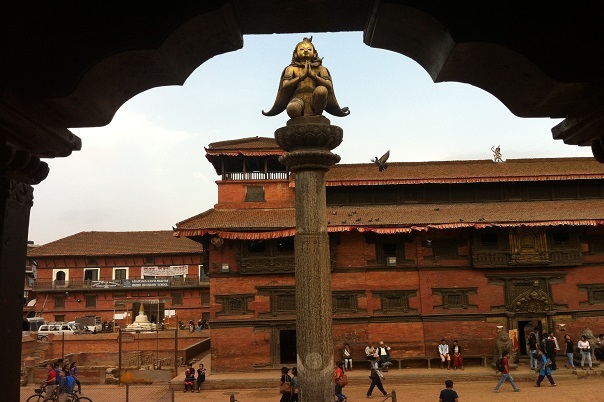 The Nepal Homestay Tour takes you through a village with rich history and religious legends which help establish the region as a spiritually embellished site. Garnered by the inhabiting Tamang community for ages, the then bud has now become ready to bloom and spread its fragrance to the world. The Homestay in Kathmandu Nepal begins with a scenic drive from Kathmandu to revealing the verdant hills and glimpses of gorgeous roadside settlements. You will reach Chukha village where Timal Home Stay situated and then continue on a pleasant trail to hike to Narayansthan. Following the excursion to the Tongsum Kunda Lake and Guru Rinpoche’s Cave, you will visit Lama Gaon at the end. On the final phase of your journey, you will return to Kathmandu after a mesmerizing drive and hike to Namobuddha Monastery. The journey also offers you the chance to learn about Buddha Chitta Maala. These are made from the seeds of Buddha Chitta tree and are famed for their unique trait and rarity. Following the completion of an entertaining journey, you will be left longing for some more of the journey. Alpine Adventure Team is the travel agency, and one of the best ones at that, which is primarily focused to provide excellent services to our clients. We offer great transportation and accommodation facilities and our English-speaking local guides will help you throughout the journey. Timal, a relatively untouched village in Kavre of Nepal, has a great potential for growth and contribution in the tourism industry. A culturally thriving area, Timal is blessed with many historical sites and settings, like its rich Tamang Heritage, the Tonhsung Kunda, places like Lama Gaon, Nayaasthan, Kottimaal and many more. When the history of Timal is considered, it must be taken into account the fact that Timal was a kingdom in ancient times. Timal’s historical roots go all the way back to Guru Rinpoche- the holy expounder of the Vajrayana Buddhism. According to the Yaringag Holy Scripture, Timal was Lord Rinpoche’s residence on his journey back from Tibet. Timal’s very landform and heritage are very tightly knitted around Lord Rinpoche’s legacy. Furthermore, Timal is also believed to be the only place where the Buddha Chitta plants grow. Timal is the place of origination of the Bodhichitta Maala- prayer beads, which are not found anywhere else on Earth. While many historical pieces of evidence have been lost to time, Timal’s Tamang heritage has still managed to be preserved and passed down through generations. King Hrenjin Dorje was believed to be a direct descendant of Guru Rinpoche himself, and Timal’s historical sites and various places of religious importance also account for this in the forms of Vajrayana texts and symbolism. According to Timal’s legend, King Hrenjin Dorje put forth the foundation stone of the Dargyeling Monastery in Kavre to honor Guru Padmasambhava- another great Buddhist figure who also has reverence in places like Mustang and Dolpo of northern Nepal. However, according to Timal’s history, the final construction of the monastery could not happen due to the battle brought on by King Prithvi Narayan Shah during his unification campaign. Later in the lifespan of King Hrenjin Dorje’s grandson, however, the final construction of the monastery was complete, along with formal Buddhist rites of iconographic infusion of Buddhist deities to the monastery’s architectural decoration and the addition of small Stupas holding the king’s relics. With the same, if not more, natural and cultural hallmarks as many other popular tourist places of Nepal like Pokhara, Jomsom, Nagarkot, and Daman, Timal’s great potential for its rise in the local economy is one that cannot be ignored. Shadowed by the Gaurishankar Himalayan Range, Timal has been gaining traction in terms of short trekking and hiking adventures. With a hiking site like Kottimal, you can enjoy amazing landscapes drained by the Sun Koshi River and visit the vantage point of Timal Yangbel from where the panoramic view of the entire Mount Gaurishankar Range can be seen in a spectacular manner. Timal also hosts big religious fairs and Jatra, like the Narayan Mandir Jatra and the Siggunboudha, where the entire Tamang population of Timal celebrates and make merry. Furthermore, Timal is, as mentioned, a great place for short treks and hiking adventures. One of the famous Circuit Trekking adventures of Timal includes the Timal-Dhulikhel Trek where trekkers can visit prominent destinations like Namobuddha, Naraynthan, Chapakhori, Mahathankundari, and Dolalghat. In addition, Timal is also a great place for cycling. Correspondingly, Timal also has many landmarks, like the Boudhanath Stupa, the Swayambhunath Stupa at Narayanthan, the Tungsung Kunda Lake at Yangbel village, the Narayan Temple, the Temple of Raktakaali at Kottimal as well as King Hrenjin Dorje’s royal palace, the Mallabi Temple at Lama Gaon, the Gyaang Cave at Chuka village and many more. The Buddha Chitta Maala, or prayer beads are one of Timal’s special features. The specific prayer beads are not found anywhere else in Nepal except at Timal. Made from the Buddha Chitta Tree, the prayer beads are said to be the original beads used by Guru Padmasambhava and Guru Rinpoche. Thus, by default, the beads hold a great religious value to the Tamang people and followers of Vajrayana Buddhism. The prayer beads are said to be a gift by Guru Rinpoche given to the people of Timal. Signifying peace, happiness, and prosperity to all sentient beings, the prayer beads are a material manifestation of Guru Rinpoche’s blessings. According to the Vajrayana legend, Guru Rinpoche emerged the Buddha Chitta Tree in Timal with his powers, whose seeds are used to make the exquisite maala. The tree is said to only grow at the Bahra at Timal and is said to have brought good fortune to the people. Till this day, the Buddha Chitta Tree produces seeds from which the maala is made, known locally in the Tamang language as “Phrengba” and “Thengamaala”. Owner: Lawang Tamang, tourism professional who has been working in the tourism industry for the decade and who wants to promote village tourism and local hiking tours in the remote area of Nepal for short holiday experiences with local culture, ethnic people and their way of life. Kathmandu to Home-Stay Location: 4 hours of driving by Taxi or Private vehicle. The same length the way back to Kathmandu as well. You will drive to the village of Chukha from the city, which takes 4 hours of duration via a taxi or a private vehicle. The Home Stay location is at Chukha. The short drive is quite amazing as the journey gives you glimpses of the countryside life outside the city. In the evening at Chukha, you can enjoy a splendid tour of the village and can also pay a visit to its orange garden, which blooms quite verdantly during the end of November all the way to January, bearing lush fruits. Overnight at Home-Stay. Evening meal servings: Dal Bhat (Veg or Non-Veg). In the morning, you will have a rooftop breakfast, with the views of the Jugal and Ganesh Himal Range as your backdrop. After breakfast, you will then hike to Narayansthan, passing several villages along the way, which takes 3-4 hours of uphill climbing through the dense terrain. You will have your lunch in Narayansthan after visiting the Hindu Temple and the Buddhist Monastery. The view from the lunch place is quite amazing- mountain ranges like the Annapurna, Manaslu, and Ganesh Himal ranges in the west, Jugal and Gaurishankar Himal massif in the central and the Mahalangur range in the east create a marvelous panorama. After lunch, you will walk back to the Home-Stay via the Tongsum Kunda Lake and Guru Rinpoche’s Cave. Overnight at Home-Stay. Evening meal servings: Dal Bhat (Veg or Non-Veg). After your breakfast in the morning, you will visit another village- the Lama Gaon, where you will visit the Buddhist Monastery ornamented with monuments and complimented by the beautiful landscape adorned with the gush of the Sun Koshi River and shadowed by the Mountain ranges. After enjoying the sights at lama Gaon, you will return back to the Home-Stay. After lunch, you will drive back to Kathmandu, passing the Namobuddha Monastery on the way. At Kathmandu, you will be transferred to your hotel. * 2 nights Accommodation at Home-Stay in village. * Hiking Tour in village as per above mentioned itinerary. * 1 experienced helpful and friendly guide, his food & accommodation, salary, equipment & insurance. * All ground transportation by private vehicle and local bus. * Foods/Meals (Breakfast, Lunch and Dinner) during the hiking and staying in village. * Any meals (Lunch and Dinner) and accommodation in Kathmandu. * International air fare to and from Kathmandu, Nepal. Be a part of this tour with our experienced and caring crew. We, at Alpine Adventure Team, assure you that, with us, this tour will become one of the best moments of your life. Alpine Adventure Team (P) Ltd. Copyright © 2018 Alpine Adventure Team. All Rights Reserved.